I always wondered why he kept falling out of bed so much. Now my mystery is solved. He moves like crazy when he sleeps. Note: He did move back up on the bed, the right way, after I took the picture. LOL! too funny because I just found Ella in a similar position last week. She did also recently fall out of bed. 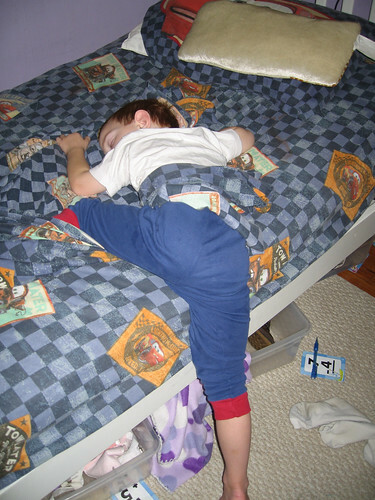 I am amazed by how kids sleep!